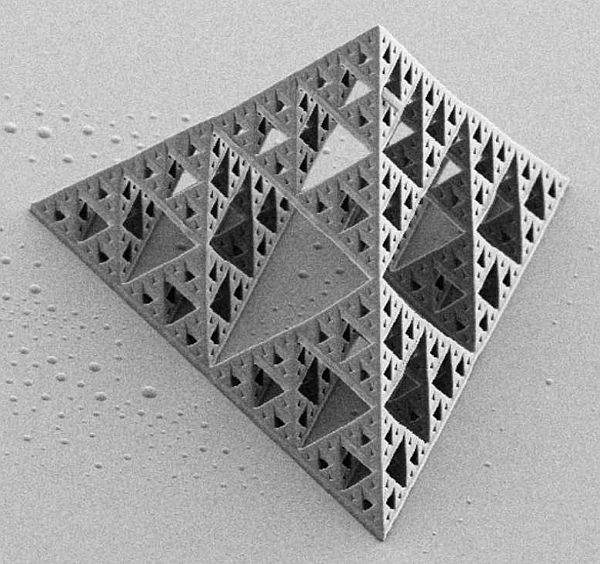 We have seen various ways to make the Sierpinski tetrahedron in a past Math Monday column, but here is a new one. 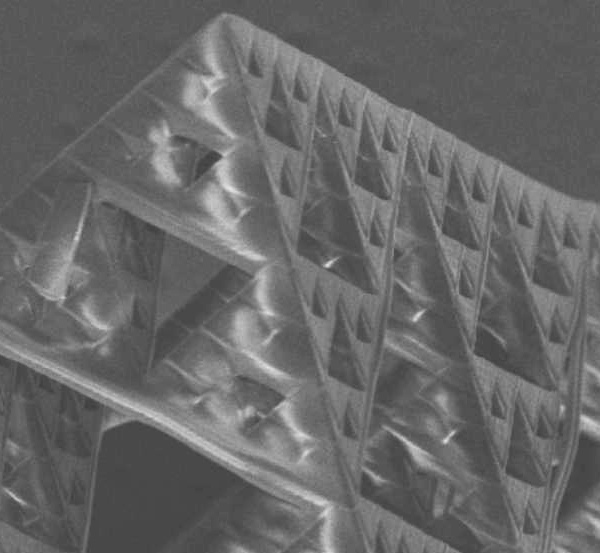 A direct laser writing process was used to produce this polymer tetrahedron, which is just 100 microns tall—the thickness of a hair. This remarkable object and these electron microscope images were created and sent to me by Michael Thiel of Nanoscribe, using the STL file available here. In person, the whole tetrahedron can just barely be seen by the naked eye as a very tiny, featureless speck on the surface of a small glass disk. When you look at it with a magnifying glass, you can make out the overall tetrahedral shape and the larger openings. In this higher-magnification view of just one corner, you can see more of the detailed structure within the speck. I wonder if someday direct laser-writers will become household machines so we can all make our own personal specks–little Who-villes of our own imaginations. What speck would you want to create? This article first appeared on Make: Online, April 25, 2011.